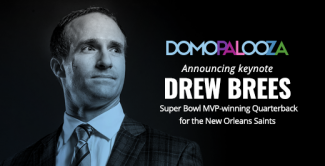 Years ago, long before Drew Brees concluded his keynote speech at Domopalooza 2019 by zipping footballs into a crowd of more than 2,000 fans, he sat in the backseat of a car and quietly absorbed the destruction of a section of New Orleans caused by Hurricane Katrina. At the same time, New Orleans Saints head coach Sean Payton was in the driver’s seat, taking it all in as well, but angry at himself for getting lost and ending up in a neighborhood that looked like a war zone. “He was recruiting me to come play quarterback for the Saints and he thought he’d lost me in that very moment,” Brees said. Fast forward 13 years, and New Orleans is in a much better place thanks to Brees. The NFL’s all-time leading passer has not only delivered the city a Super Bowl, he’s used the power of his platform to help resurrect it. 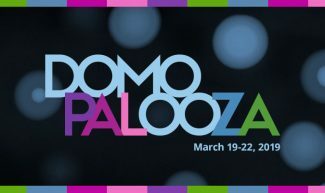 While that particular story was just one of many told during Domopalooza 2019, it may have best embodied the entire event, which was mainly about the ways people and organizations are using a platform (Domo) to make a difference. No one could argue as customer after customer came on stage over the next two days and detailed how Domo has been a positive influence for them. Brees then showed off his arm … but not before passing out tips on leadership (“it all starts with showing you care,” he said) and how to establish a winning culture (“be the same guy every day,” he advised). 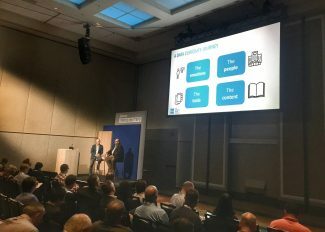 Day two was no less interesting, starting with the very first announcement: that Domo had just launched Domo for Good (D4G), a social good program designed to leverage the Domo platform in collaboration with non-profit organizations. That bit of news served as perfect entree for Carolyn Miles, CEO of Save the Children, who sat down with Josh to discuss just how big of a role data can play in matching some of the most marginalized kids in the world with people who would like to help. Other D4G partners, including Mark Brand of A Better Life Foundation and Rod Fujita of the Environmental Defense Fund, spoke as well. All received rousing ovations for the important work they’re doing. To cap things off, Judd Apatow was called to the stage, where the comedian and filmmaker demonstrated why, with one hilarious story after another, he’s one of the funniest people in Hollywood. But, like Brees, he also talked about how he’s used his platform to make a difference, and revealed some secrets to his success.